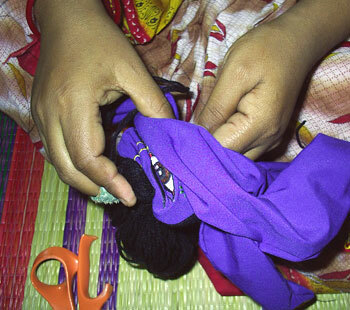 Back in 1998 my dear friend, the late Maharani devi dasi, gave me a pattern for a Krishna doll she had made for my son Japa when he was only 6-years-old. Japa used to sleep with his little Krishna doll every night and especially liked the sound of His ankle bells. If he didn't hear the sound of the bells, he would call out in his sleep "Krishna, Krishna, where are you?" 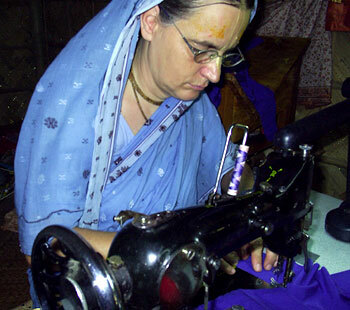 With Maharani Mataji's blessings, I started Gopal Soft Toys in 1999. I wanted to introduce Krishna, in my own way, to devotee children all over the world, so that they could also make Krishna their dearmost friend. From our humble beginnings when we lived and operated out of a bamboo hut with a single cow in a small barn next to it, we have now expanded for the sake of Gopal Soft Toys production and our cows. We have built a small house, another bigger bamboo hut, and a bigger barn. We are now maintaining two oxen, 3 milking cows, and 3 calves. Gopal Soft Toys is located in a quiet setting surrounded by rice fields in the heart of Mayapur, India, just five minutes from the birthplace of Lord Caitanya. 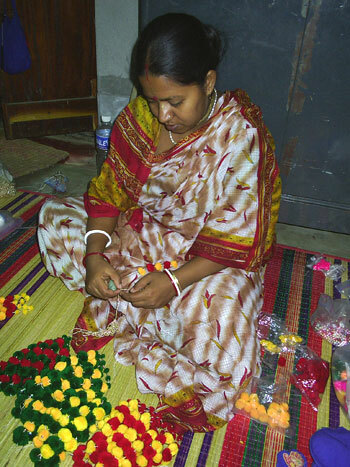 Our dolls are exclusively hand crafted in Mayapur. 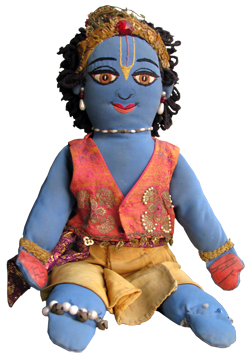 Our team consists of six Vaisnava families who are all being sustained by Gopal Soft Toys. The website was designed and created by my son Navadvipa Chandra Das. Thanks to my brother Friedrich for tecnical help, Atmavidya Prabhu for pictures and my daughter Nandini for shipping and handling and other technical support.